Find a center that specializes in heroin addiction and dual diagnosis (if applicable). Check the cost and whether your insurance will cover your costs. Decide whether an inpatient or outpatient recovery center is best, depending on your situation. Make sure the rehabilitation center offers aftercare. Who Answers? to speak to a treatment support specialist about heroin recovery programs. You can receive options based on your insurance coverage. There are two basic forms of heroin abuse treatment: outpatient and inpatient. If you have a more severe and long-standing heroin addiction, you may benefit from more intensive outpatient programs. You will receive a higher level of care by participating in more frequent treatment sessions. Inpatient treatment (also known as rehabilitation or rehab, or residential care) allows you to remain in the facility for a specific length of time while you receive drug-based treatment, psychotherapy, behavioral therapy or a combination of these.2,3 Many inpatient heroin recovery programs also incorporate Suboxone-assisted detox.3 You may be required to stay for the amount of time determined by your treatment plan. Inpatient rehabilitation facilities may be standard, luxury or executive. The facility and treatment type for each person depends on several factors, such as their history of heroin abuse and any prior treatment. 30-day programs are more traditional forms of rehab, in which you are administered detox (see below) and/or heroin addiction treatment over this time period.4 However, this time frame may not be long enough for some people. Luxury treatment programs are usually located in pleasant surroundings and include features such as massage, fine dining and activities such as tennis and horseback riding. Executive rehabs are geared toward people who aren’t able to take time away from work while they’re in recovery. The treatment center is designed so that individuals can continue to take care of their professional needs while completing an addiction program. Factors such as the abuse of other substances (e.g., marijuana) and psychosocial problems may influence the increased risk of opioid abuse among this group. Many behavioral therapies, such as cognitive behavioral therapy, have been shown to help teens struggling with addiction. These programs generally target the teen’s family relationships and communication skills, and address co-occurring mental or behavioral health conditions, such as anxiety or depression, as well as polysubstance abuse. What Kind of Detox Does It Offer? Detox is not a form of treatment. It is the first step in a recovery process. Detoxification procedures (most often known as “detox”) are processes in which you are treated for the symptoms of heroin withdrawal at the beginning of rehabilitation.3 This may last several hours or several days. While heroin detox may be very uncomfortable, it rarely presents any real health dangers. That said, a structured detox program that uses medication can help ease the unpleasant side effects. Detox is often accompanied by the administration of opioid analogs and/or antagonists (e.g., buprenorphine/naloxone or Suboxone treatment).3 These help with the effects of heroin withdrawal (e.g., sweating, pains, nausea and discomfort). The nature and duration of heroin detox depends on the facility in which heroin addiction is treated. Methadone – a longer-acting opioid that produces a similar effect to heroin, but without the extreme highs and lows. Methadone is only available in clinics regulated by the Substance Abuse and Mental Health Services Administration (SAMHSA). Buprenorphine – a medication that can help reduce cravings and block the effects of other opioids, such as heroin. Buprenorphine is only available through physicians who have received special training. Naltrexone – another drug that blocks the effects of other opioids. Naltrexone is usually prescribed to users who have detoxed from heroin and are trying to remain abstinent. Clonidine – can help reduce anxiety, muscle aches, sweating, runny nose, and cramps. Lofexidine – can help reduce some of the physical symptoms of withdrawal. For instance, while one study indicated that methadone treatment may be associated with improved adherence compared to buprenorphine or naltrexone, other studies have suggested that methadone treatment has serious limitations. In particular, a large proportion of individuals attending methadone clinics continue to use heroin or other drugs, such as cocaine or marijuana. Assessment for Medical and Mental Health Conditions? The process of assessing for heroin addiction in addition to a co-occurring mental illness or health issue is known as dual diagnosis. Many heroin users struggle with dual diagnosis, but an increasing number of treatment centers offer this kind of treatment. It’s something to keep in mind if you think you may be dealing with a mental illness -such as depression or anxiety- or a health problem in addition to your heroin addiction. It’s important to give a full disclosure of your drug history at the start of a program. Withdrawing from alcohol and/or benzodiazepines at the same time as heroin potentially constitutes an emergency situation and will necessitate an even more tightly monitored, medically supervised withdrawal period. What Kind of Treatment Does It Offer for Heroin Abuse? Cognitive behavioral therapy (CBT) – CBT focuses on teaching you to recognize patterns of thinking and behavior that may be contributing to your substance use. Then, you are trained in coping skills and problem-solving strategies to change maladaptive thoughts and unhelpful behaviors. Contingency management – This treatment approach uses a systematic schedule of reinforcement to reward behavior such as refraining from the use of the substance. Matrix Model-based therapy – This treatment approach is based on the premise that individuals recovering from substance addiction and dependence require a high degree of structure. This model draws from several other behavioral approaches and includes contingency reinforcement schedules and relapse prevention. Art therapy – This helps improve your skills in communication and self-expression. Using a wide variety of techniques, you learn to express yourself in a healthy and productive manner, which allows you to better understand and cope with your addiction. How Qualified Are the Staff and the Recovery Center? Find out all you can about the staff, their qualifications and any relevant credentials they should have. 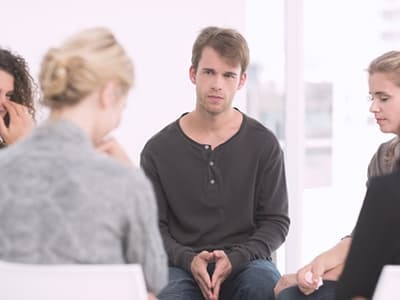 Make sure that the therapists on staff have completed the appropriate postgraduate education, such as a master’s, PhD, or MD, and have experience treating heroin addiction. In addition, check the staff-to-patient ratio. This may affect how much time and other resources staff allocate to each individual. Does the Treatment Program Offer Support After You Leave? Post-treatment support, also known as aftercare, is another factor to consider when choosing a treatment program. Relapse, or a return to substance seeking and abuse following treatment, is common among heroin users and may be addressed with aftercare plans directed at avoiding relapse. The treatment program can offer interventions or services to you to help you avoid relapse. 12-Step programs, such as Narcotics Anonymous, are considered supportive therapy to be used in addition to alternative treatment. These programs are delivered in a group format and are typically run by a member from the community, as opposed to a certified addiction counselor. They provide you with support as you learn skills to live without heroin. Sober-living facilities or training are a way to bridge the gap between intensive treatment programs, including inpatient and residential facilities, and returning home to the environment you were in before treatment. Transition to outpatient treatment, which may include a period of participating in more frequent treatment sessions through an intensive outpatient program before transitioning to traditional outpatient treatment. The treatment sessions can be once a week, every other week, once a month or even once every few months. The cost of treatment for heroin addiction and dependence will vary widely from program to program, and depends on a number of factors. In general, inpatient and residential treatment programs are quite a bit more expensive than outpatient treatment programs. This is because inpatient and residential facilities are more intensive in nature. These centers also include room and board, along with food, which dramatically increases the cost. Who Answers? to discuss mental health and substance abuse coverage options. Ask about any potential out-of-pocket costs and what they are, including your deductible and any copayments required. A treatment representative can help you find a program that accepts your insurance. Look for programs that offer treatment based on a sliding scale fee schedule. This means that the fee you would be expected to pay is adjusted based on your degree of need. In many cases, sliding scale fees are based on your annual income. Contact the Substance Abuse and Mental Health Service Administration (SAMHSA) to learn about payment and financing options without insurance. Many studies have demonstrated the success and effectiveness of methadone treatment.10 Some people may respond well to a program of detox followed by a course of therapy, while others may be more suited to longer-term medication-assisted maintenance with simultaneous therapy. The best way to avoid relapse is to have a determined commitment to recovery and aftercare. Call 1-888-319-2606 Who Answers? to speak with one of our treatment support specialists. We’re here to help you find your way to treatment and your recovery goals.
. Strang J, Groshkova T, Uchtenhagen A, et al. Heroin on trial: systematic review and meta-analysis of randomised trials of diamorphine-prescribing as treatment for refractory heroin addictiondagger. Br J Psychiatry.2015;207(1):5-14.
. Pani PP, Trogu E, Vigna-Taglianti F, et al. Psychopathological symptoms of patients with heroin addiction entering opioid agonist or therapeutic community treatment. Annals of General Psychiatry.2014;13:35.
. Warden D, Subramaniam GA, Carmody T, et al. Predictors of attrition with buprenorphine/naloxone treatment in opioid dependent youth. Addictive behaviors.2012;37(9):1046-1053.
. Lawental E. Ultra rapid opiate detoxification as compared to 30-day inpatient detoxification program–a retrospective follow-up study. J Subst Abuse.2000;11(2):173-181.
. Shanahan CW, Beers D, Alford DP, Brigandi E, Samet JH. A transitional opioid program to engage hospitalized drug users. J Gen Intern Med.2010;25(8):803-808.
. Bell J, Mutch C. Treatment retention in adolescent patients treated with methadone or buprenorphine for opioid dependence: a file review. Drug Alcohol Rev.2006;25(2):167-171.
. Nelson PK, Mathers BM, Cowie B, et al. Global epidemiology of hepatitis B and hepatitis C in people who inject drugs: results of systematic reviews. Lancet.2011;378(9791):571-583.
. Ray Saraswati L, Sarna A, Sebastian MP, et al. HIV, Hepatitis B and C among people who inject drugs: high prevalence of HIV and Hepatitis C RNA positive infections observed in Delhi, India. BMC Public Health.2015;15:726.
. Phillips KA, Epstein DH, Vahabzadeh M, Mezghanni M, Lin JL, Preston KL. Substance use and hepatitis C: an ecological momentary assessment study. Health Psychol.2014;33(7):710-719.
. Bart G. Maintenance Medication for Opiate Addiction: The Foundation of Recovery. Journal of addictive diseases.2012;31(3):207-225.